The presidency has released President Muhammadu Buhari’s “achievements” in the last 12 months, ahead of tomorrow’s (Sunday) marking of the administration’s first year in office. The relocation of the Nigerian Military Command Centre to Maiduguri, since May 2015, contributed to the success in the fight against insurgency in the North Eastern part of the country. Since December 2015, the well-motivated and rejuvenated Nigerian Military have regained all Nigerian territories previously under Boko Haram control. Prioritized regional cooperation in the fight against Boko Haram insurgency and violent extremism, through the operations of the 8,500 strong Multi-National Joint Task Force in N’Djamena, the capital of Chad, currently headed by a Nigeria military general. Nigeria has provided $21million USD to the Task Force since June 2015 and is committed to an additional $79 million USD, bringing the total of Nigeria’s commitment to the Task Force to 100 million USD. Cohesive international support in the fight against terrorism and assistance to victims and communities affected by terrorism, following President Buhari’s meeting with G7 leaders and other world powers. In May 2016, Nigeria hosted a Regional Security Summit to boost military operations against Boko Haram and forge a global support for the rehabilitation of the IDPs and rebuilding of the North East. In June 2015, the United States announced a 5-million-dollar support for the fight against the terrorists in the sub-region. Overhaul of the dysfunctional topmost hierarchy of the Nigerian military which resulted in optimal result and degradation of the Boko Haram elements. Was able to bring back our hitherto military allies; which saw the United States and UK governments commit their resources to the fight against the insurgents after previously backing out of negotiations with the previous administration. The Israeli government has also indicated interest in the fight against insurgency. Realigned our partnership with regional allies by embarking on foreign visits which resulted in bilateral and multilateral agreements to tackle insecurity back home. No more roadblocks and curfews, which normally impeded free flow of movement. Continuous monitoring of activities in the region of war through the use of satellite images and geographical information system is helping in fighting insurgency and strategizing against the enemy. The trips to our neighbouring countries showed the resolve of the President to push Boko Haram elements out of existence by going for the jugular of the group, cutting their arms, food supply routes. Support has thus been mobilized through the Multinational Joint Task Force. Another major stride is the Trans National Organized Crime (TNOC) where the president got partnership with regional allies in the fight against the proliferation of Small Arms and Light Weapons. As part of the reconfigured military partnership, the United States donated 24 mine-resistant armoured vehicles (MRAP) which had protected the Nigerian troops from the menace of Improvised Explosive Devices. Today we have less causalities. Overhauling of NIMASA. A reversed policy of the past administration where national infrastructural assets were given to militia leaders to protect as against established bodies like the Nigerian Navy was stopped. The President Buhari government has drafted the army to partner with other security agencies in ensuring the security of our national infrastructure and this is already yielding the desired results. A major ring of pipeline vandals in Lagos state were captured recently in a joint operation by security forces led by the army. The Nigerian Navy has recorded tremendous success lately in apprehending vessels used by oil thieves. This operation has improved security on our water ways and it has also helped improve the revenue of government. Deployment of sophisticated weapons to ensure vandalism is contained by setting up a pipeline security force in stamping out the menace. Improving the technical capacity of Nigerian Police Force. We now have a forensic lab and GSM tracking device. We now have a more IT integrated Police force. Restructuring of Nigerian Immigration to stop cross border crimes. NSCDC has become more proactive in the prevention of pipeline vandalization, with arrest of several pipeline vandals. Joint operations involving various security outfits in curbing the menace of the herdsmen in the country has been set up. The use of surveys and updated mappings across the country as strategies for preventing threats among ethnic groups in Nigeria. Right from the moment he won the Presidential Election in 2015, the impression of the President as a ‘‘no nonsense and incorruptible leader’’ sent a signal to looters of public funds, with many of them returning funds that had been stolen under the previous administration. To create a frame work for prosecuting the war against corruption and institutionalize probity, President Buhari set up an Advisory Committee on War Against Corruption. The anti-corruption battle is gaining ground with several high profile cases already in the courts. The administration is being guided by the rule of law in the prosecution of corruption cases. President Buhari enlisted the support of multilateral institutions like the World Bank and IMF, security agencies, Western countries and other friendly nations to locate and repatriate stolen assets. At a London summit on anti-corruption, President Buhari announced that Nigeria will begin the full implementation of the principles of the OPEN contracting data standards. In the first quarter of 2016, President Buhari embarked on trips to the Middle East to sensitize the governments on the need to repatriate stolen assets and hand over the looters for trial in Nigeria. In January, Nigeria and UAE signed Judicial Agreements on Extradition, Transfer of Sentenced Persons, Mutual Legal Assistance on Criminal Matters. In March 2016, the Federal Government and the Swiss Government signed a Letter of Intent On the Restitution of Illegally-Acquired Assets forfeited in Switzerland. Under the agreement, Switzerland will repatriate $ 321 million USD illicitly acquired by the Gen. Sani Abacha family. In March 2016, the Presidential Committee set up to probe contracts awarded by the Office of the National Security Adviser (ONSA) from 2011 to 2015 announced the recovery of over N7 billion from indicted companies and individuals. Implementation of the Treasury Single Account (TSA) has provided greater visibility of government revenues and cash flows. Between June 2015 and April 2016, the Federal Government TSA collection clocked N3trillion. To further instill fiscal discipline, President Buhari directed the closure of all multiple accounts in Ministries, Departments and Agencies of government, thereby plugging loopholes for leakages with new technology. The opaque accounting structure of the NNPC has been reconstructed to be more transparent with the closure of more than 40 accounts. As a corporate entity, NNPC is now accountable and more transparent in operations, publishing its monthly financial reports. The President also resolved the lingering shadowy oil swap deals that had cost the country billions of dollars and left it at the mercy of a few rich Nigerians. 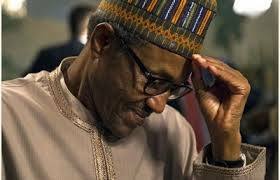 To alleviate the suffering of Nigerians in September 2015, President Buhari directed the Central Bank of Nigeria to disburse N689.5 billion as bailout to 27 states of the federation to pay salaries. To stimulate the economy and reduce poverty, in April, 2016, President Buhari approved deferment in the payment of the bailout as states were still reeling under the burden of the fall in commodity prices. Records of more than 34,000 ghost workers draining the nation’s resources were expunged from the Federal Civil Service, saving N2.29 billion monthly. Enforcement of the Bank Verification Number: Also the BVN has ensured that the menace of “ghost workers” are being identified and dealt with, while looters with multiple accounts can no longer hide their loot undetected. Social Protection: Groundwork for social intervention/palliatives for the poor is being put in place as data is being collated by the economic planning office of the VP in conjunction with the World Bank. Commenced policy reforms for gas monetization, flare out and infrastructure development, to fast track power supply and economic diversification. Under President Buhari, the Federal Government agreed to a 50 million Euro (about N11.15 billion) loan agreement with French government for capacity-building and upgrade of power training facilities in Nigeria. Nigeria signed a $237 million agreement with World Bank to improve power. Chinese solar power manufacturers agreed with the Federal Government to set up solar panel manufacturing business in Nigeria. Presidential approval for the Implementation of United Nations Environmental Programme (UNEP) report 2010 for the clean-up of Ogoniland with regards to oil pollution and inclusion of stakeholders in the process of implementation. Continuation of the implementation of the Great Green Wall project to fight and contain desertification in Northern Nigeria initiated by past administration. The President has focused on the strengthening of institutions with key appointment of professionals. On assumption of office, the President undertook some foreign trips both within and outside Africa to re-establish Nigeria’s position in the global arena and solicit support for Nigeria and Africa. President Buhari has continually pushed the agenda for enhancing Nigeria’s global image by always demonstrating Nigeria’s credentials in the 2015 general elections, which saw the country scoring high on peaceful transition. President Buhari strongly supported the emergence of a Nigerian, Dr Akinwumi Adesina, as President of the Africa Development Bank.